Max boy’s brown leather shorts. 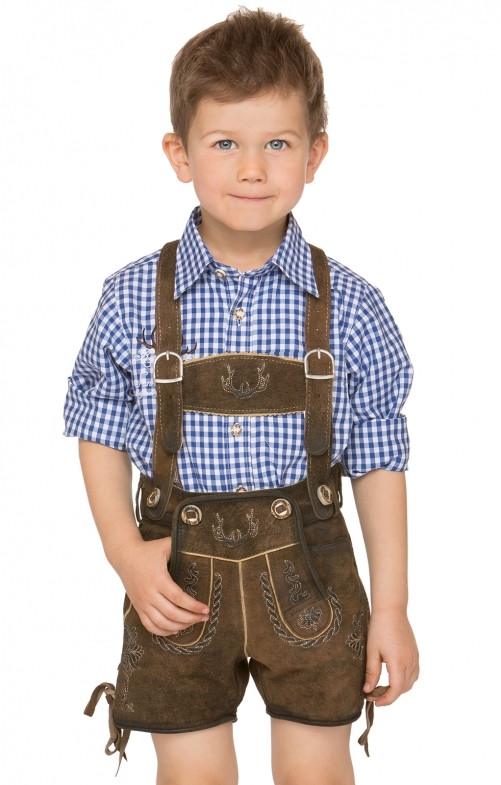 The traditional Bavarian style of these boy’s brown lLederhosen makes this the perfect garment to where for a family outing to Oktoberfest. The shorts grace the knees and come complete with a classic Bavarian H-brace that holds them firmly in place. They feature a stylish button-up bib that is adorned with striking embroidery.